The long-forgotten phrase ‘children should be seen and not heard’ is certainly not one which can be applied to Year 13 student Beth Crane who has triumphed once again in another Public Speaking Competition! 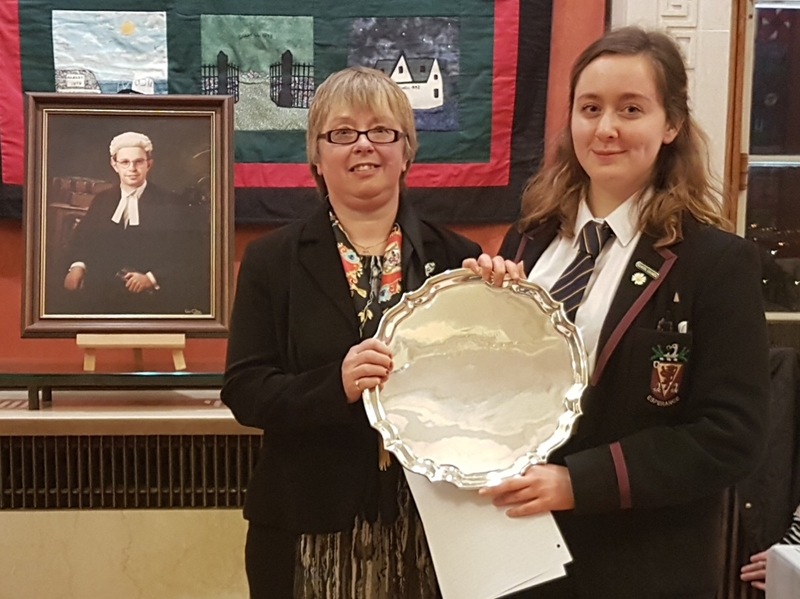 On Wednesday evening, Beth competed in the Edgar Graham Memorial Public Speaking Competition at Parliament Buildings, Stormont. Her speech, entitled, ‘It’s not our problems that define us’ explored the issues faced, and overcome by, individuals around the world. As Beth braved the scrutiny of both fellow competitors and adjudicators, she spoke of those who have inspired her in her own life: Malala Yousafzai, shot by the Taliban at aged 11 whose advocacy for Human Rights helped her obtain a place at Oxford University; Syrian swimmer Yusra Mardini who saved the lives of 20 refugees when her boat capsized, pushing the boat three miles in freezing conditions; and the late Stephen Hawking, whose debilitating Motor Neurons Disease, did not prevent him from becoming arguably, the world’s most well-renowned Physicist. Adjudicator and Speech and Drama Teacher Catherine Gardner commented on Beth’s moving content, inspirational words and passionate delivery, earning her 1st place, staving off competition from 24 other competitors, and beating her own personal success of receiving 2nd place in the same competition last year. Beth’s latest placing follows an extremely successful few years in Public Speaking. 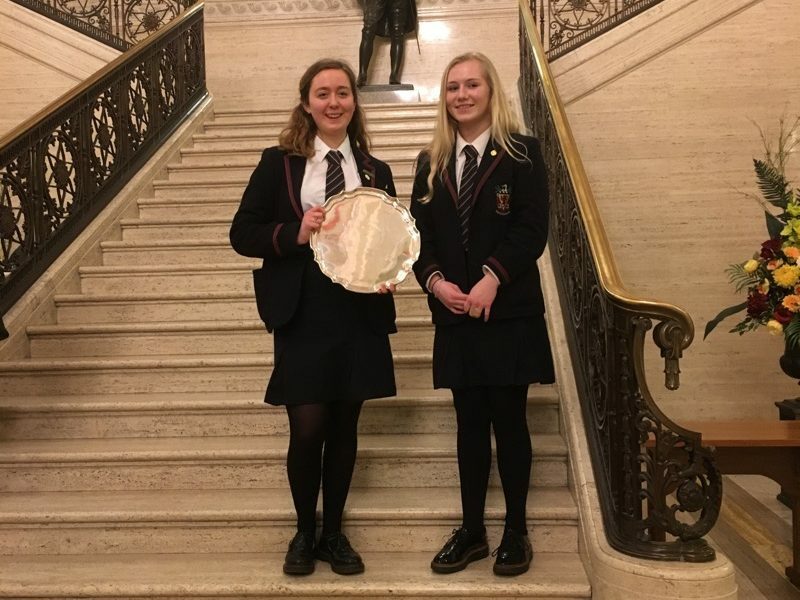 Last year Beth won the Northern Ireland Final of the Soroptimist Public Speaking Competition and this year reached the final of the Business and Professional Women’s Public Speaking Competition. In September she also delivered a vibrant recital of Lewis Carroll’s Jabberwocky for the Poetry Aloud Competition in Linen Hall Library. 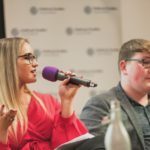 But Beth’s visit to Stormont this week will not be her last, as she has successfully been elected as the Lagan Valley Youth Member to the UK Parliament. Following an inspirational campaign and thought-provoking election speeches in the Wallace Community, Beth obtained the highest number of votes for Lagan Valley. She will join 17 other young people from Northern Ireland. Beth will work alongside over 300 other 11-18 year olds from across the UK towards solving issues facing young people today and taking these issues directly to Westminster. 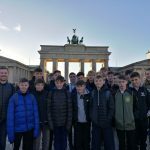 Beth’s campaign centred on developing the education system to further prepare young people for life beyond school with the policy of ‘Curriculum for Life’. 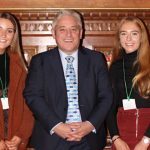 Beth follows in the footsteps of previous Wallace UK Youth Parliament members, Ryan Simpson and Ben Sharkey. 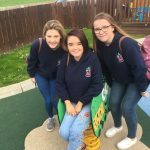 We wish Beth all the best for the year ahead in representing the views and desires of young people in Lagan Valley and hope her experience and success in Public Speaking will help her along the way!